Graph from the OECD Economic outlook november 2011. 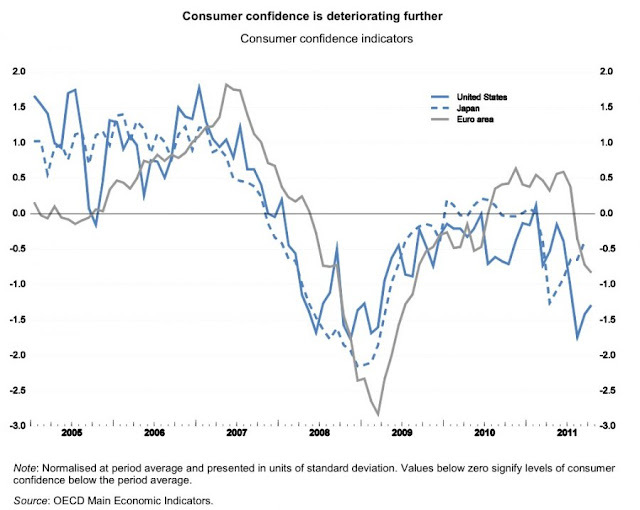 This picture shows the consumer confidence in the United States, Japan and in the Euro Area. The zero line shows the average in the time interval pictured.